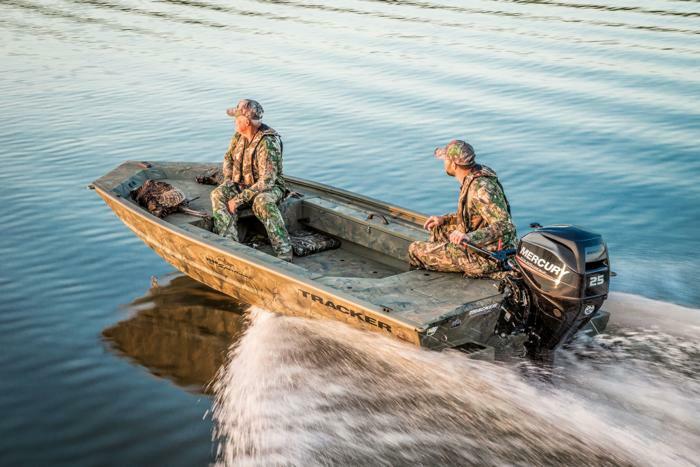 The all-welded TRACKER® GRIZZLY® 1548 T Sportsman is built for waterfowl hunting, but it's great for fishing and bowfishing, too. 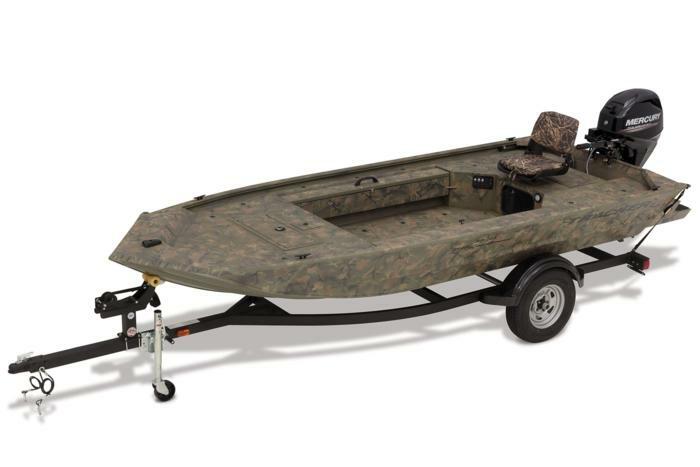 It sports a new lockable bow deck storage compartment, a port rod/gear box, a lockable and removable starboard gun box and integrated sponsons at the transom to improve shallow water performance. 100% aluminum construction with a .100 hull and .190 floor guarantees durability, and the hull, stringer, transom and decks are all-welded to for a rock-solid, unitized structure that can withstand rough fishing and hard work. Because of this, we back it with the TRACKER Promise—the best factory warranty in aluminum boats. Available in optional Grassland or Woodland camo patterns.